It’s about time I posted another Alt Update! There is so much happening in the world right now. I wrote the majority of this post before the election, but I do think it’s important to just keep living as best as we can. Celebrate a little inspiration, our history and how far we’ve come, and the little things that we like (like killer Punk transformation!). I can’t get enough of the love for Manic Panic and it’s early seventies roots. Who said we have to support big corporations rather than little businesses that were started in our own backyard? Have you heard that Marilyn Manson collaborated with Killstar on a collection? It’s pretty awesome. Check it out on Lookbook for some pretty/pretty angsty shots. Halloween may be over, but for some of us horror movies and the Halloween spirit run year round! This post by Man Repeller lists some amazing quotes from horror movie makers, all about why we love to get scared. Before the Flood is a documentary directed by Leonardo DiCaprio all about climate change which touches on my topics that I’m really passionate about – climate change, waste, animal rights, food and ethics. If you haven’t seen it yet, what are you waiting for! It’s free on YouTube and it’s films like these push you to make change! 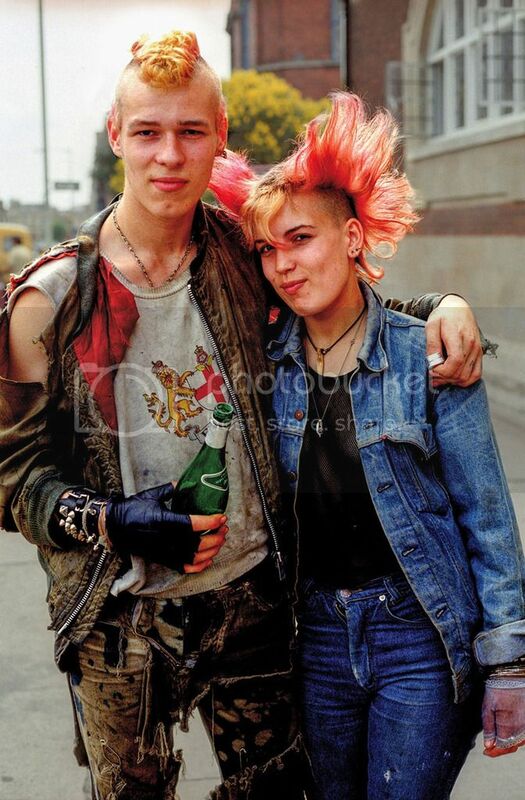 I love the punk transformations in this photo series when a photographer went back and photographed all the people he snapped forty years ago! The best way to end this list is with a horoscope! I read a lot of them, but my favourite reading this week was Rookie’s (I’m a Pisces). What does yours say and does it connect with your intentions for the month? What did these links bring to mind? Are you freakin’ over the election results, or are you keeping calm? It’s moments like this when insane things happen that catapult us to make change in our own lives! If someone with zero experience can make it into office, imagine what you can do! Ooh! Great links! Excited for the punk pics and apartment series! Yes. Yes, I am freaking out over the election results.